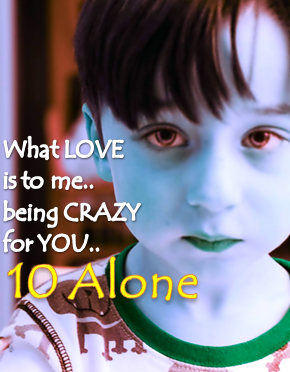 What Love is to me.. #Valentine2014 Song.. being Crazy for you.. #10Alone by #Vikrmn #14Feb Ten Alone : a saga of 10 friends.. 10 Chartered Accountants..
You are the ONE.. I want to be with.. FOREVER.. I am the one.. who'll be CRAZY.. for YOU.. FOREVER. Lyrics from Novel "10 Alone" a Teaser..